The Howling WolfHeart: 10 More Geeky Post Ideas! Way back in January I shared 10 Geeky Post Ideas and I figured it's about time I give you 10 more. 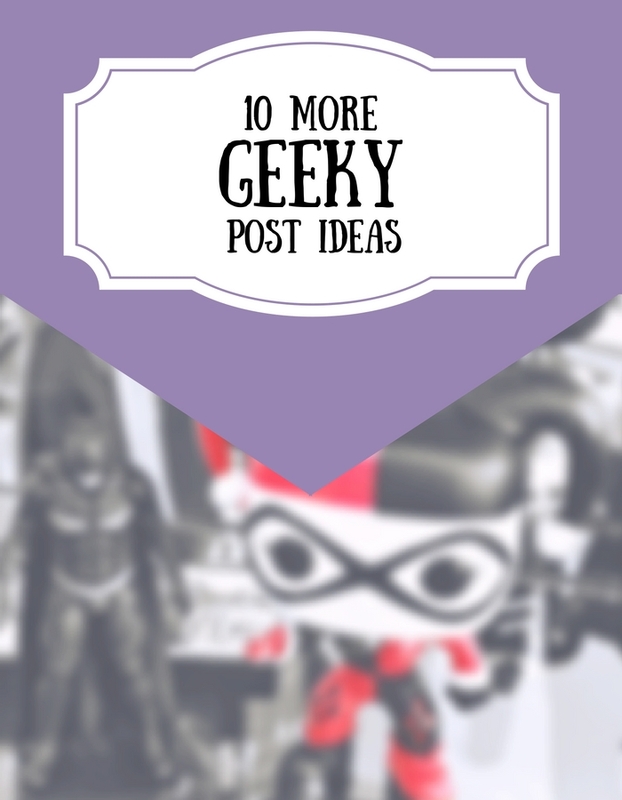 So here you go, 10 More Geeky Post Ideas! If you end up using one please share, would love to read it! TV Shows That I Miss. Netflix Originals I've Fallen For. Nerdy Clothing Collection, for example from Black Milk or Poprageous. Cartoons I Grew Up With. Your Favorite Shows The Re-Watch. Gaming Tips of Your Favorite Game(s). These are really great ideas! I want to write more nerdy posts and this is so helpful. Thanks! Ooh the cartoons I grew up with sounds like fun!